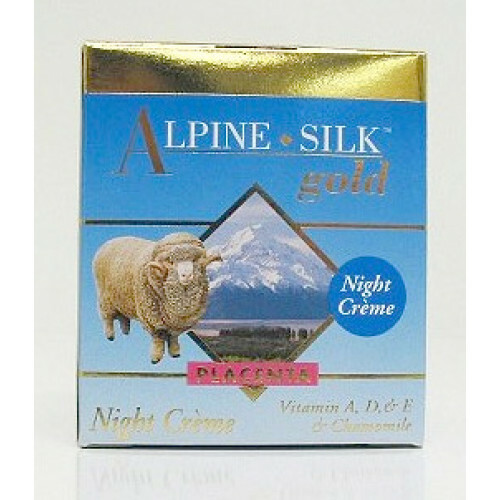 Alpine Silk Gold Placenta Night Creme 100g is enriched with Vitamin A, Vitamin D and Vitamin E and Chamomile. 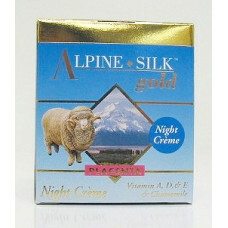 It nourishes and gently moisturizes dry skin while you sleep. It helps treating damaging effects of the sun, wind and cold weather. New Zealand Placenta and Chamomile. Apply crème evenly over the face. Deionised Water, Isopropyl Myristate, Mineral Oil, Glycerin, Glyceryl Stearate, Lactic Acid, Acetylated Lanolin Alcohols, Lanolin, Cetyl Alcohol, Polysorbate 60, PEG-100 Stearate, Placenta Extract, Retinyl palmitate (Vit A), Cholecalciferol (Vita D3), Tocopheryl Acetate (Vit E), Chamomile Extract, Phenoxyethanol, Sodium Hydroxide, Tocopheryl Acetate, Methyl paraben and Propyl paraben and Ethyl paraben and Butyl paraben, Fragrance. Nature's Beauty Harakeke Omega Health Cream 45g is resonating with our respected native New ..